For the second day in a row, rain fell across San Diego County. As of 9 a.m., most areas west of the mountains received rainfall, with the heaviest of it in the North County. "Periods of slight to moderate rainfall should be expected, especially this morning,” said NBC 7 Meteorologist Jodi Kodesh. This afternoon, showers will be less widespread, and taper off early evening. Tuesday will mark the start of several days of a warm up. By the weekend, temperatures will be in the low to mid 80s at the beaches, and well into the 90s inland, Kodesh said. 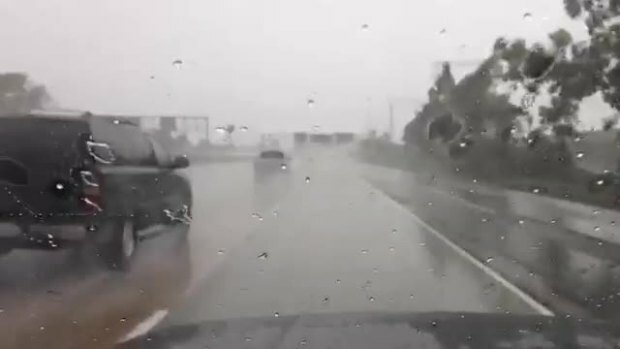 Video of rain falling along Interstate 5 in National City on Monday, Oct. 5, 2015. In the afternoon, the chance of rain drops to 30 percent with the storm clearing out of our region after 4 p.m. she said. Read the forecast for San Diego County. 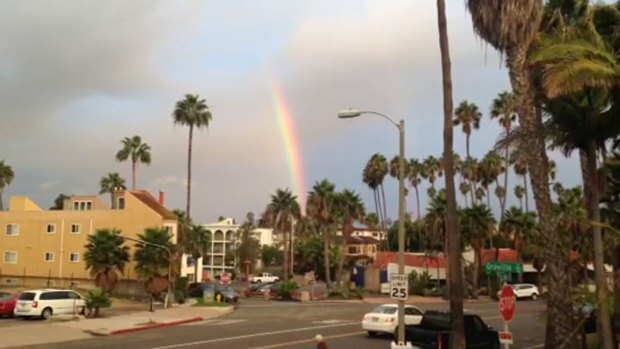 Video of the rainbow that appeared over La Jolla on Monday, Oct. 5, 2015.